Check out this Keen deal I found on 6pm. 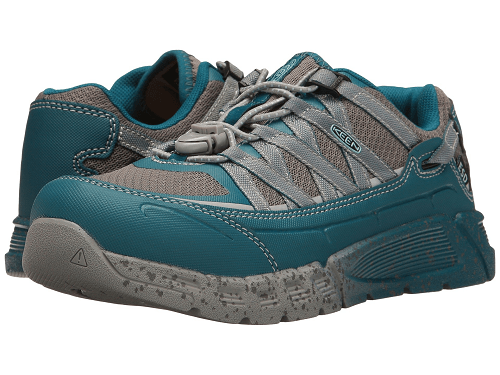 They have these Keen Utility Asheville AT ESD for $34.99! Down from the normal price of $130, for a 73% savings. Plus they are still offering free shipping right now! The lightweight and protective construction of the Keen® Asheville AT ESD work shoe provides excellent comfort, flexibility, and traction to keep you steady and ready to work all day long. Features an electro static dissipative (ESD) footwear design that is constructed to reduce excess static electricity. Anatomically correct protective aluminum toe boot for a roomier toe box and excellent arch support that cradles the natural contours of the foot. PU midsole provides excellent support and shock absorption. Aluminum toe meets or exceeds ASTM F2412-11 and F2413-11 I/75 C/75 SD standards. Product measurements were taken using size 8.5, width D – Wide. Please note that measurements may vary by size.